MIXgiving with DJ Dusty Records, food by Taberna La Boca and a canned-food drive that will be matched dollar-to-dollar by host Santa Fe Community Foundation. Come and give thanks (and canned goods) at MIXgiving!! 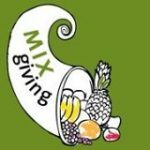 The Santa Fe Community Foundation hosts MIX this month, and its giving spirit will be in full swing – your canned food donations will be matched by SFCF’s dollars, and sent to the Food Depot just in time for Thanksgiving. MIX attendees also will have the opportunity to sign up to be a part of the grant-awarding process of the foundation’s FUTURE SANTA FE fund, providing you just one more way to help fund cool stuff in Santa Fe. The new James Campbell Caruso spin off, TABERNA La Boca will feed your faces with some seriously scrumptious snacks..if you haven’t had a chance to check out the restaurant’s new location, put it on your agenda – open until 11pm nightly, and with an endless selection of Spanish and Portuguese wines, Taberna La Boca won’t let you down. And for dessert, MOMOCAKES will provide mini cupcakes from its new and amazingly delicious downtown gluten-free (and mostly vegan) bakery and tea bar. DJ Dusty Records will be on the ones and twos spinning good old fashioned vinyl just the way we like it, while the lovely ladies from Lululemon show up with Thanksgive-aways you won’t want to miss..
https://mixsantafe.com/2012/11/mixgiving-november-2012-survey/ and receive a warm adult beverage courtesy of our anonymous MIXgiving donor!! The Cowgirl also will have its full cash bar set up, so come out in the cold and make this FINAL MIX OF THE YEAR one to remember! MIX will be doing some serious scheming and strategic planning over the winter months, so we can bring you an even bigger better MIX in 2013. Thank you all for being such amazing, inspiring, and dedicated participants in this process. We are all better off for it! As always, this is a private party, but YOU (and yours) are invited.